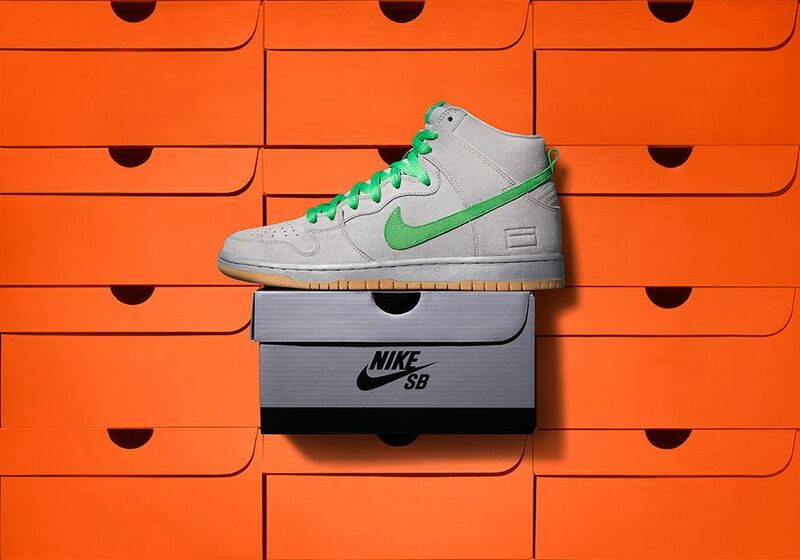 Nike SB Dunk High "Silver Box"
The Nike SB division and the SB Dunk have quite the relationship that dates back many years in sneaker history. 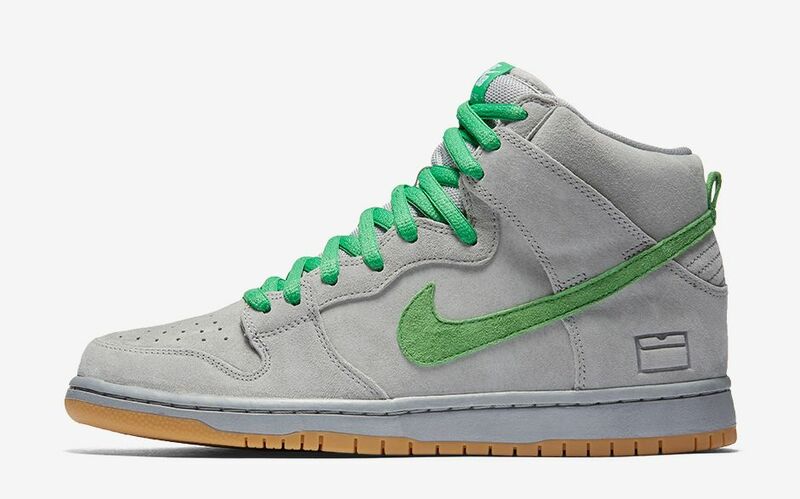 To continue their shoebox releases, Nike Skateboarding takes the Dunk High and gives it a clean “Silver Box” colorway. 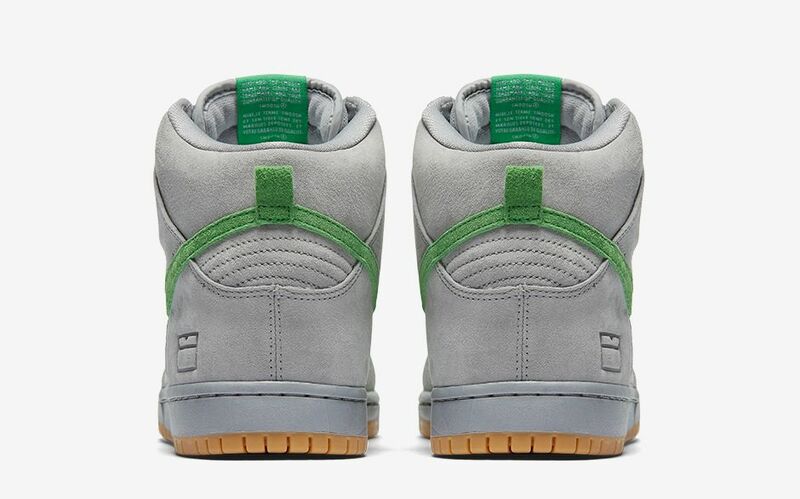 The upper and midsole take on this silver color that is rounded out with a gum outsole and green Swoosh and laces. 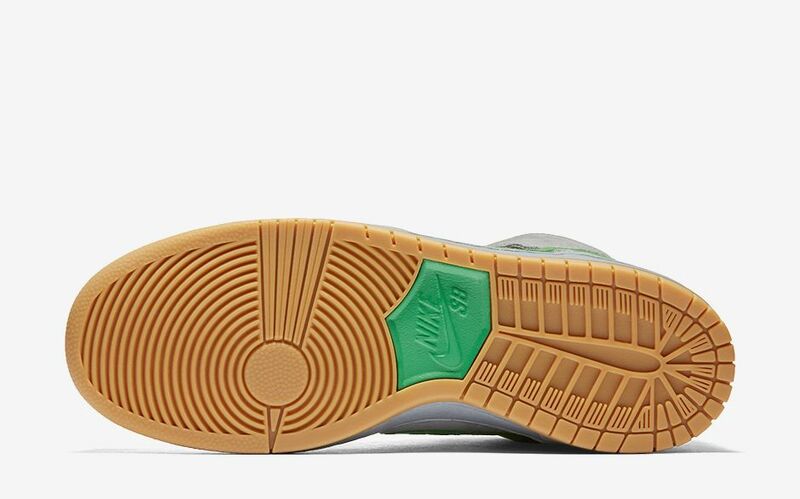 A special emblem on the side depicts a shoebox and the insole does the same with many different shoeboxes. 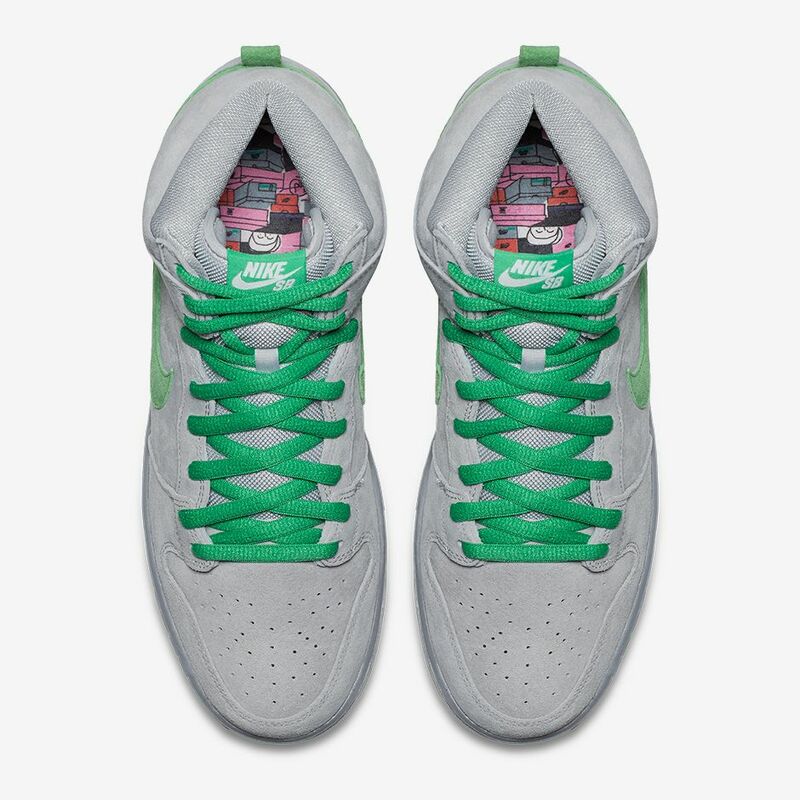 Retail is at $110 for this pair and will be found at select Nike retailers this October 29th, so stay tuned for more news @ModernNotoriety as release approaches.